An easy and affordable way to purchase the flute of your dreams! This Layaway plan is similar to "90 days same as cash!" A deposit of 25% of the total value of the item (including S & H) is required to secure the purchase and is payable immediately. All sales are final and full payment (including S & H) must be received within the 90 Layaway period. Failure to meet this requirement will result in the cancellation of the sale with no refunds given whatsoever. No refunds of deposits or payments will be given in respect of failure to meet your obligation in respect of this plan. Regrettably, a returned check fee of $25.00 will be charged to recover costs. As soon as the final payment is received your purchase will be dispatched by Priority Mail and you will be advised of the USPS tracking number. No purchases will be dispatched before the final payment is received. 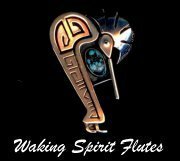 Participation in this plan signifies your acceptance of the terms and conditions outlined on this page and with the normal Terms & Conditions of the Sale/Purchase of Waking Spirit products. Waking Spirit Productions reserves the right to refuse any application in respect of this plan.